How many times have you wondered how easily your life could have taken a different course? Can you look into your past and remember one moment that changed everything? If you're like me, you can think of several small moments you didn't realize were big moments - life changing moments - at the time. The two books I've read this past week touch on life changing moments and characters who look back in their pasts to wonder, "What if...?" The Life We Bury, by Allen Eskens, is a fiction novel about a young man, Joe Talbert, who decides to interview a convicted murderer that is dying of cancer. Joe's assignment, for his freshman English college class, is to interview someone and write a biographical paper on the person. It is through interviewing the convicted killer, and researching the murder case, that Joe begins questioning many things. When he finds that the convict was once a decorated war hero, he wonders what moment in the man's life turned him into the kind of man that would kill a fourteen-year-old girl. There is more than one layer to this story and more than one character who questions what moments in their pasts changed the course of their lives forever. It is a good debut novel, and I found it to be a good weekend read. I felt parts of it were a bit predictable, but I enjoyed it. 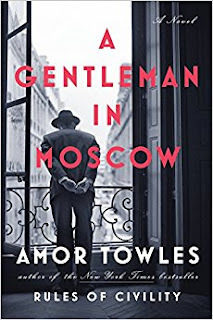 The other book, which I am still reading, is A Gentleman in Moscow by Amor Towles. I will go ahead and tell you, this book is not for your light reader. 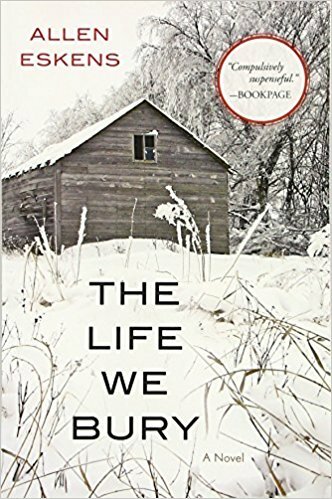 While it is an excellent novel, it is heavy with Russian history - something I'm not very familiar with - and its beauty lies in being able to describe how certain moments in life feel. Not the big moments, the small ones. The premise of the novel is that a gentleman, convicted of being a rebel against the government of Russia in 1922 for writing a poem, is sentenced to live out his life in a hotel in Moscow. If he leaves the hotel, he will be shot on sight. While the gentleman lives out his sentence in the hotel, he also finds himself looking back at his life. He feels there are critical moments where he wishes he'd made a different choice. By witnessing the life he makes for himself at the hotel, the reader learns a great deal about Russia...and about humanity. I'm intentionally taking my time with this one. I've grown very fond of the main character, Count Alexander Rostov, and the cast of characters he interacts with in his daily life at the hotel. I'm also fascinated with all the references made to historical events. I've been researching quite a bit. In other words, I'm not trying to rush through such a beautifully written historical fiction book. This one takes a little more effort, but I feel it's worth it. Good for the brain. Good for the soul. For me, it doesn't get any better than that.